Looking to Throw a Truly Unique Party? Our parties feature an instructional session with one of our skilled and knowledgeable staff and a private party room where you can eat, open gifts and share memories. We host parties for a variety of occasions, including team building exercises, kids camps and birthday parties. Learn more about some of our more popular offerings below. Prior to your party, you’ll meet with one of our event planners to discuss what fun creation you would like to make during your party. You can pick from our gallery of fun ideas or let us know what you have in mind. We’ll kick off your party with your decorating project. 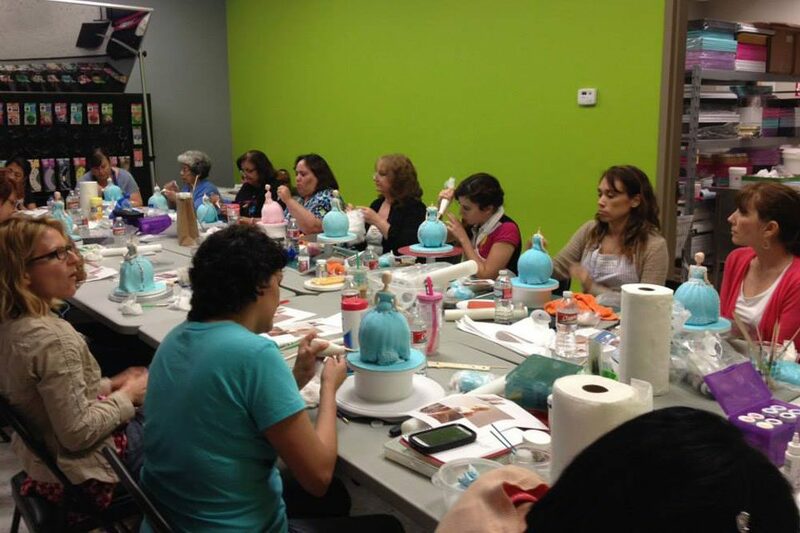 One of our talented decorators will guide the group through the process while teaching new techniques and skills. Don’t forget your cameras! You will want to capture your friends at work and take plenty of pictures of the finished products. Join in on the Sweet Fun! To begin planning your next party or for more information, contact the Over The Top Cake Supplies offering parties and classes nearest you.